In many evangelical circles, science has become a trophy wife. 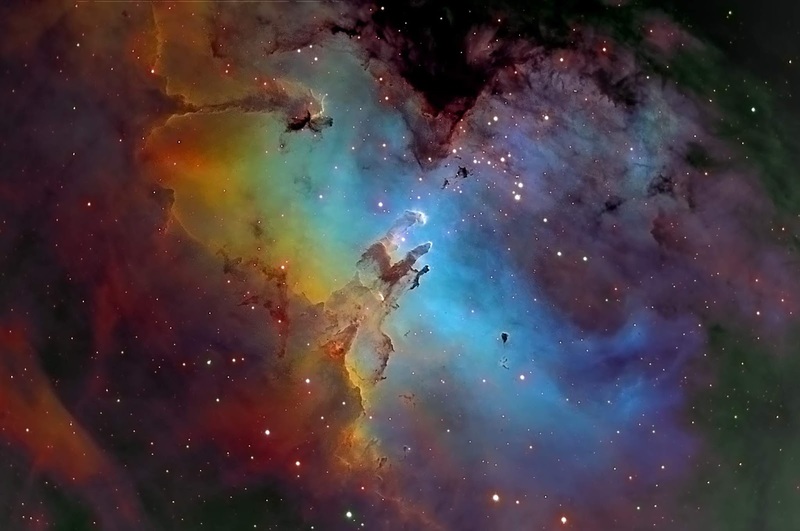 Put her front and center, and show her beauty in, say, the form of Hubble nebulae photographs, with the requisite Psalm 19:1 caption, but do not ever let her speak, for she is likely to embarrass you. Her theological utility is only in the pleasant optics, not in the substance. Nothing makes me more of a pariah among my fellow believers than my support for theistic evolution (or by the preferred name du jour: "evolutionary creationism"). I honestly don't even know if it is considered (any longer) an acceptable view in my own church. I sort of don't want to know. The physical evidence, from a number of independent studies from disparate disciplines including geology, plate-tectonics, physics, astronomy, astrophysics, and cosmology, all point to an earth that is about 4.5 billion years old and a universe that is roughly three times older. It would be a Herculean task to show why any one of these methodologies is wrong, let alone all of them. And in the unlikely event that you prove them all wrong, you are left with the equally difficult task of explaining how they all arrive at the same wrong answer. There is a fossil record that numbers in the millions that shows plenty of transitional species, including the most famous, the Tikaalik, whose existence and fossil location was predicted by applying a combination of evolution and geology. Evolution was the secondary means God used to create the diversity of life on earth. It was never out of his control and man was always the intended and inevitable pinnacle of this ordained process. It is #5 in the list above, the historicity of Adam and Eve, that is something of a minority position on biologos. Augustus Hopkins Strong (3 August 1836 – 29 November 1921) was a Baptist minister and theologian who lived in the United States during the late 19th and early 20th centuries. His most influential book, Systematic Theology, proved to be a mainstay of Reformed Baptist theological education for several generations. I am weary of the arguments against a non-literal view of Genesis from young earth creationists. 5 Some, like Wayne Grudem and Al Mohler, like to make slippery slope arguments about how a denial of a young earth will ultimately lead to a denial of the gospel, and most likely the proverbial cats and dogs living together out of wedlock. I have been an old earth creationist for some time and so far I still affirm the gospel. Apparently the slope on this slippery slope is not very steep. Try not to ponder that if the world's voluminous database of observations, from the fossil record to the comic background radiation to the recently discovered (as predicted) gravitational waves, should they be nothing more than faith tests, points to a God of deceit and confusion and not the God of the bible. And by all means don't consider that the solid state devices in the computer you are using to write your polemic against "scientism", evolutionary creationism, and indeed any form old earth creationism is the self-same science by which we understand radiometric dating. Send the trophy wife inside when her beauty has served its purpose. 1 The trolls that do show up can be from any ideology: atheists, young earth creationists, intelligent design proponents (biologos is anti-ID), fundamentalists, etc. 2 This is, of course, pure speculation, but no more so than the speculations of young earth creationists who either speculate on incestuous relationships for Adam and Eve's sons and never-mentioned daughters, or invoke additional special creation about which the bible is also utterly silent. 3 The Fall and the Redemption of Man in light of Evolution, Augustus. H. Strong, A paper read at the Baptist Congress, Buffalo NY, November 15 1898. Reprinted p. 163, Christ in Creation and Ethical Monism, Augustus. H. Strong, Roger Williams Press, Philadelphia, 1899. 4 In revising history, some modern Baptists will argue Strong never really supported evolution. 5 And they really are not an argument for a literal view of Genesis, but rather a particular literal view. Day-Age proponents (I am not one) will argue that their view of Genesis is just as literal, but it is done with the proper meaning assigned to the Hebrew word yom which is translated as day. They are on solid ground in that argument. Well said. The book of Strong's essays has some other interesting material, such as the first one, "Christ in creation." Thanks for the link.